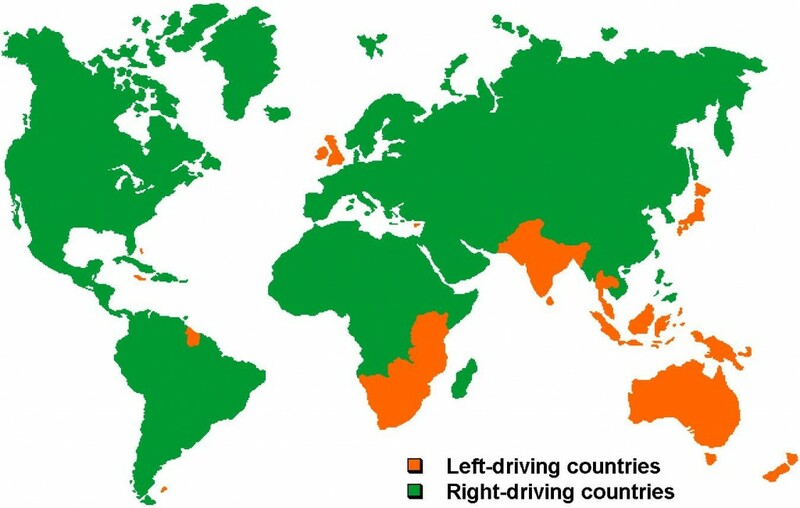 Compared to driving though, I actually more comfortable riding a motorbike, so I have researched quite a lot about riding/ owning a motorbike in UK. I’m postponing my plan to get a motorbike, however, as I get to live close to the lab for one more year. So, so that it’s easier for me the next time I continue with this plan (and for whoever, Indonesians or not, planning to drive/ bike in the UK and stumbling through this article), I write this. As my research is mostly about riding a motorbike and not driving a car, pardon the less information there is for driving cars. Do I need to make an international driving license? If you have your own driving license already in your country, you can use this page to check. No need to make international driving license (felt so relieved because I ended up not making international driving license, which I needed to make in the capital. Yay). EU/ EEA National: You can use your driving license as long as it’s still valid or until you’re 70. Other National: You can use your driving license for a year, after that you need to make a British one. If you’re from “Designated Countries” (Andorra, Australia, Barbados, British Virgin Islands, Canada, Falkland Islands, Faroe Islands, Hong Kong, Japan, Monaco, New Zealand, Republic of Korea, Singapore, South Africa, Switzerland, Zimbabwe. ), you can then apply to exchange it for a GB licence up to 5 years after becoming a GB resident. What if you don’t have driving license? You can’t take a driving test in Great Britain until you’ve been studying there for at least 185 days. What does your driving license entail? All the rights and obligations you had in your license. That means, for example, as my Indonesian motorbike license doesn’t really have the leveling system they used here, I could just ride a 500 cc motorbike with pillion passenger, as I could do it in Indonesia. What’s the process to obtain driving license? Motorbike: apply for CBT. After CBT you can ride max 250 cc, without pillion passenger, with L sticker. That license valid for 2 years, need to be renewed. If you want, you can apply for A1/ A2 for higher ccs. With that, you can pull the L sticker off, ride with passenger, and go through motorways. CBT ranges between 70-120 GBP. Car: apply for a theory test (23 GBP). After you pass, you can apply for practical test (62 GBP weekdays, 75 GBP weekends). The queue for practical test for driving license is pretty long. Usually people try twice (no quote) before they pass. Generally my friends said that the closest date you can book a practical driving test after you failed was 4 months after, so a few of them used service such as this one to look for empty dates whenever they’re available. Before the test you can study by reading through highway code. You can also do mock test like this one. For driving test, usually people have driving classes. What do you need to start a ride? Insurance (It’s a must here to ride with an insurance. Basically the longer your experience, the lower the quote. You can try to compare quotes in sites like this one. When I tried it, basically if I used my old license I needed to pay 100 GBP more/ year compared to if I obtained a British license). It’s case-by-case basis, you can try website such as this to compare. Posted on August 6, 2016, in Learning and tagged car, driving, driving license, guide, motorbike, motorcycle, student, uk. Bookmark the permalink. 1 Comment.